With the introduction of the LC46LE700UN, Sharp combines its legendary AQUOS LCD panel technology with a newly developed, proprietary Full Array LED backlight system to create picture quality that is second to none. 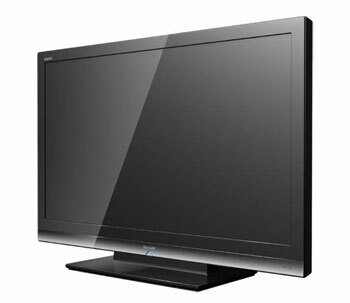 The LC46LE700UN illustrates Sharp's LCD technology leadership while also demonstrating its LED engineering advantages. Sharp's Ultra Brilliant LED system illuminates the TV to extremely high brightness and contrast levels and enables significant environmental benefits such as longer life expectancy, no heavy metals and lower power consumption. At the same time, the new XGen LCD Panel utilizes an ingeniously devised pixel design that permits more light to pass through even while minimizing light leakage, with the result being the deepest black levels that AQUOS has ever achieved. © 2008 LCD TV Buying Guide. All Rights Reserved.